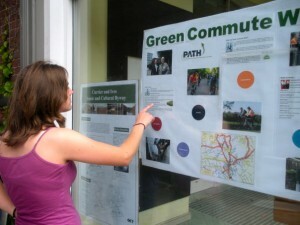 Why/how did you get involved with the program? Well let's see...I definitely wanted to get involved with some sort of internship program this summer, because I wanted to get more experience conducting research before I started applying to graduate schools this fall. In addition to that, I had heard about the research here at Hubbard Brook for years, as both my former high school biology and college ecology professors had worked here. I was really excited when I found out that Hubbard Brook was having an REU program, and even more excited when I was accepted. 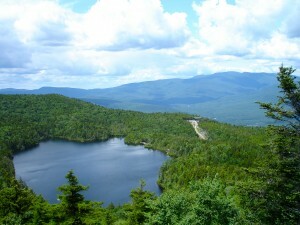 I am looking to see if the Clean Air Act has worked, by evaluating the acidity of six ponds in the White Mountains. 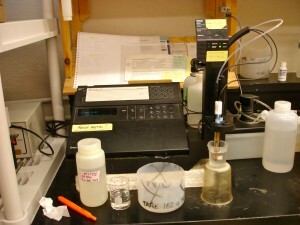 I am collecting water samples, and then having them analyzed at Syracuse University. I will then compare my data to data from the 1980's and 1990's to see if any changes have occurred. Additionally, I am comparing the acidity of ponds to their corresponding inlets and outlets, to see if there are any significant differences. 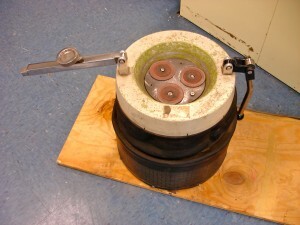 The United States has put a lot of money and effort into controlling acid deposition (acid rain). We have decreased the emissions coming out of factories, which in theory should decrease the amount of sulfur-based acid deposition. Meanwhile, our car emissions have increased, increasing the amount of nitrogen-based acid deposition. I am looking to see if these actions have changed the acidity in ponds throughout Central New Hampshire. Or more simply put, was the Clean Air Act worth it? Are we getting any results? 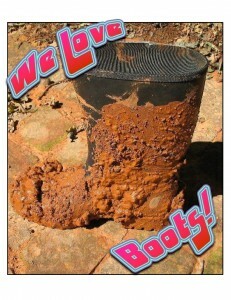 And finally....what is your favorite piece of gear? 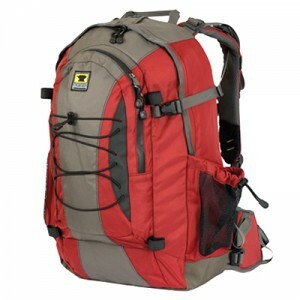 My backpack! Besides this summer, we've been to Canada, Sweden, Norway, Ireland, and Britain together! She was inspired to apply to the program by her brother, who participated in various other REU programs while he was in college. Maggie visited him, and really enjoyed the REU experience. 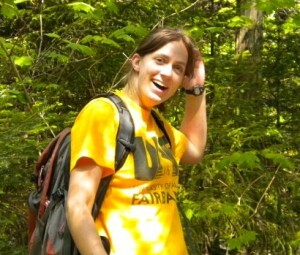 She looked for programs that fit her academic passions, and Hubbard Brook fit the bill! 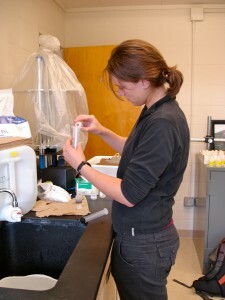 She is taking a trans-diciplinary look at the intereactions between soil, groundwater, and surface water. 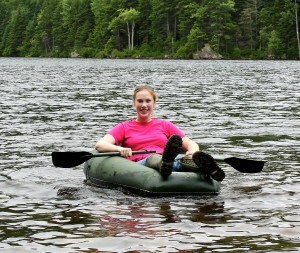 She started out by sampling 160 locations within Watershed 3 at Hubbard Brook, to discover locations of groundwater upwelling and their impacts. Then, she installed piezometers along transects to uncover differences in hydraulic gradients from hillslope to near-stream zones. 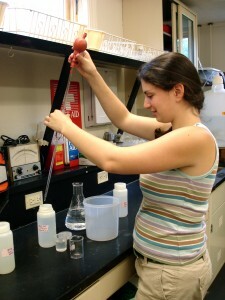 More simply put, she is looking at how groundwater interacts with surface water near streams. 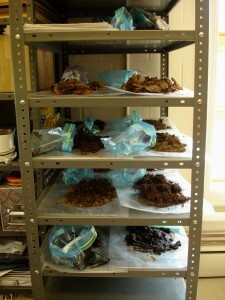 Her research is important because understanding what happens below-ground is just as important as understanding the processes above0ground. Yet, know very little about where and how groundwater effects surface water and soils. 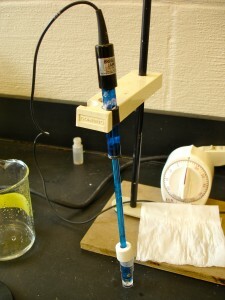 This research could help us understand filtration mechanisms, flow rates, and other factors important to drinking water. 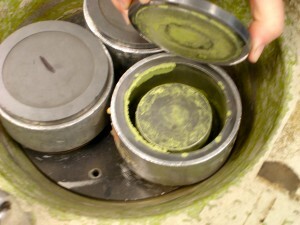 It also could be applied to help understand how pollution moves through aquatic systems. She really wanted to work on a project that would help people, and especially educate them about our current environmental problems. Additionally, during her winter semester at Dartmouth she participated in a Semester at Sea, and realized that she was definitely a "terrestrial" kind of person. 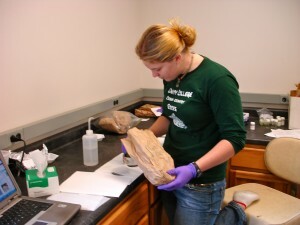 She wanted to get involved with forest research, and try her hand at the types of projects currently underway at Hubbard Brook. Brita's project stems off from current research findings that show that yellow birch are declining in Northern Hardwood Forests. 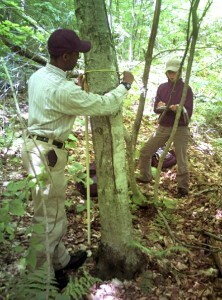 Tying into this, she is looking to see if species composition is an effect of water availability in forest sites. 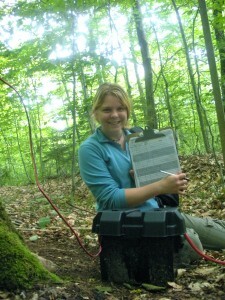 Simply put, she is using species composition to find out water availability in forests. As we all know, climate change is becoming a fact in the Northeast. By understanding what types of changes are occurring in our forests now, hopefully we will be able to understand and possibly predict future changes. This is especially true when it comes to water availability. Future changes in "freeze-thaw" events because of changes in our climate will have an effect on the amount of water available. Understanding what trees correspond to differing amounts of water available will make it easier to understand changes that are occurring. We're in the Plymouth State University news! He always wanted to get involved with wildlife biology and environmental research, and wanted to get field experience as soon as possible. He wanted to see if he liked field work, before devoting a lot of time to it. 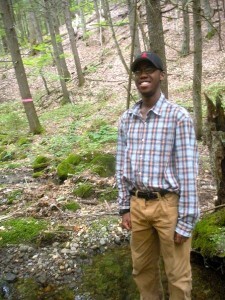 Thus, here he is at Hubbard Brook! Investigating the correlations that exist between moose populations and vegetation composition and elevation in Hubbard Brook. Basically: What effects do moose have on the forests? 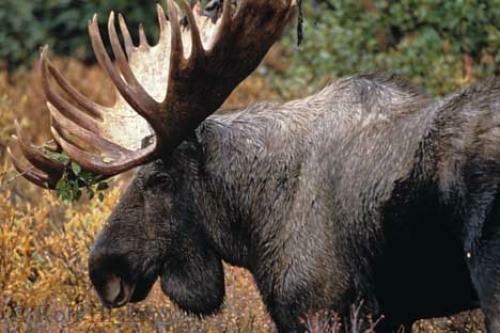 The density of moose populations have a significant impact on the people living nearby. Moose can cause car accidents among other things. By understanding what factors regulate their growth and size then we can come up with better conservation or population maintenance plans. We don't want them infringing on humans too much (and at the same time, we don't want to infringe on them too much). 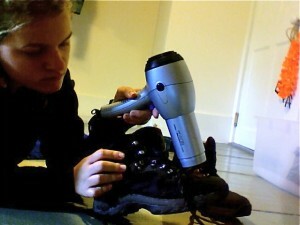 His hiking boots, because they're so important! He heard about Hubbard Brook in his classes at UNH, and became interested after finding the program online. He really liked the location, and most important the type of research that is being conducted here. 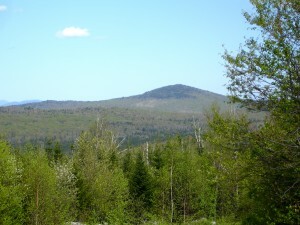 Plus, it's in the White Mountains! 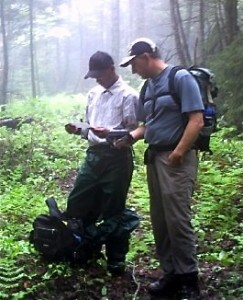 Comparing the acidity levels of ponds in the White Mountains to previously collected data from 1995. He is looking to see if there have been any changes in acidity levels in these ponds over the past decade, as well as comparing ANC, sulfur, and nitrogen levels. 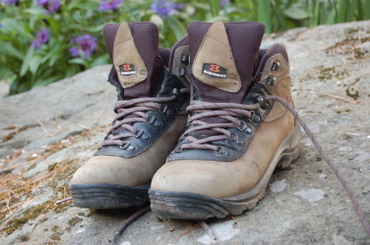 Pretty simple, yet a whole lot of hiking and data analysis. To see if the Clean Air Act worked. 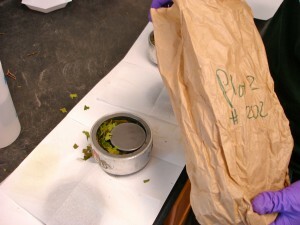 A lot of time, money, and effort has been put into decreasing acid deposition in the United States. It is very important to find out if these efforts have been successful (and if not, adapt our efforts so they will be more successful). Also, it is generally important to monitor water quality. Sudden changes could mean something isn't right in the ecosystem, or humans are creating a new impact on the environment. 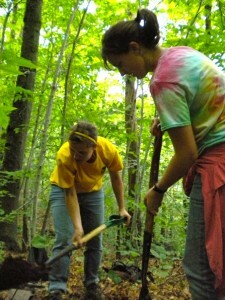 Acid rain (as a concept) was discovered here at Hubbard Brook thanks to long-term monitoring. 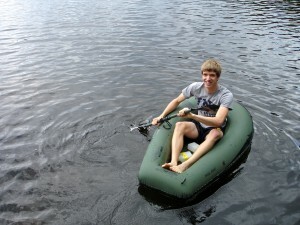 The boat used for sampling hard to access ponds. After a rather *difficult* day in the field yesterday involving sinking up to my thighs in muck, I decided to take a day off and catch up on some of the blog work. As part of this, I went up to the Forest Service laboratories here at Hubbard Brook, to check out the lab work that some of the REU's are doing. I've put together the photos below, with captions on what they're doing. Just a flip of the switch! 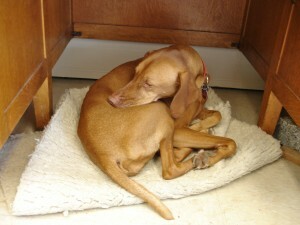 Even though it's not field work, lab work can get pretty tiring. Right Garnet? She was interested in the research being conducted, and also liked that she would be paid. The combination of the two was great! Basically, she is investigating how freezing soils (there will be more winter soil freezing due to climate change because of decreased snow pack) will effect how quickly trees heal from wounds. Or more simply put, does stress cause trees to heal slower? Climate change is becoming a fact here in the Northeast. One of the effects of climate change could be decreased snow amounts in the winter, which insulates the soil in the winter. Usually the snow is thick enough to prevent a lot of soil freezing, which protects roots. Less snow means more freezing, and thus more stress on trees. This stress might be large enough to cause a decrease in Sugar Maple trees, which are very important economically in New England. Could climate change impact maple syrup production? 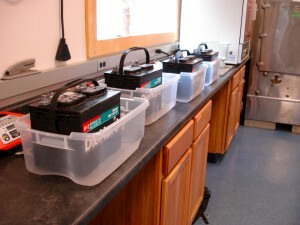 Car batteries, for the workout! 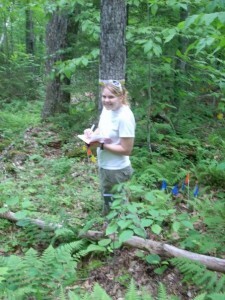 (Cayce is also changing batteries for Dr. Templer's research probes in the forest). 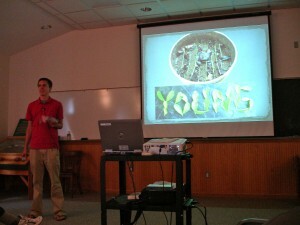 "Don't Underestimate the Young: Leaf Production and Biomass"
Most of the talk was about his current REU sponsored research on root biomass, and how to use algorithms to calculate root biomass. While his research is a work in progress, he talked about what his results are so far, and what he hopes to accomplish by the end of the summer. 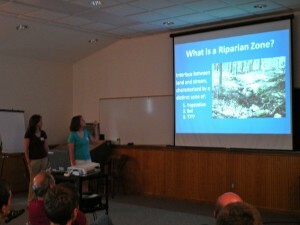 During the Cooperator's Meeting, REU students Maggie Zimmer and Katie Harvey gave a presentation about their current work, entitled "Is there a riparian zone in the headwater catchments at HBRF? 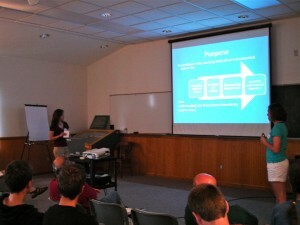 Evidence from the groundwater hydrology and soil morphology/chemistry"
They mainly talked about their current research in Watershed 3 at Hubbard Brook, concerning the hydrology and soil properties beside and around the streams. 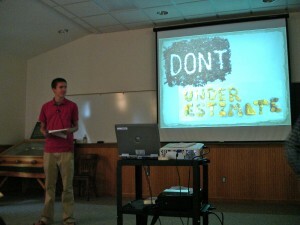 They also talked about what kinds of outcomes and products they hope to have at the end of their work this summer.